24 Mar 2019 / 20:41 H.
A view at the Japanese Heroes Monument located next to the Sultan Abdul Halim memorial bridge in Alor Star. PETALING JAYA: An insensitive initiative of monumental proportions occurred last week when a “Tugu Wira Jepun” (Japanese Heroes Monument) was unveiled in Kedah last Thursday. 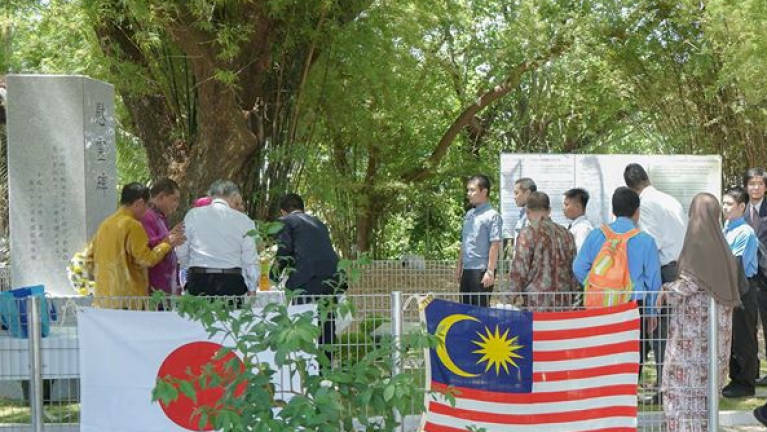 The unveiling of the 1.8m tall structure honouring Japanese soldiers who died in a battle to capture a bridge in Alor Star during the invasion of Malaya in 1941, has drawn the ire of several quarters, including the National Patriots Association (Patriot), which pointed out that the invaders should not be glorified. “They were invaders. Why should we honour them? That’s something very wrong. Take it down. 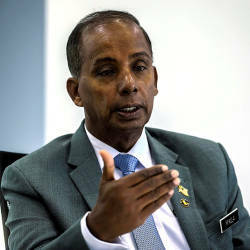 They are not heroes!” Patriot president Brig-Gen (Rtd) Datuk Mohamed Arshad Raji told theSun today. In calling for the monument to be torn down, he said it was not right to honour a foreign military force which had invaded our country. The monument, located next to the Sultan Abdul Halim memorial bridge in Alor Star, was unveiled last Thursday by Kedah state executive councillor in charge of tourism Mohd Asmirul Anwar Aris. 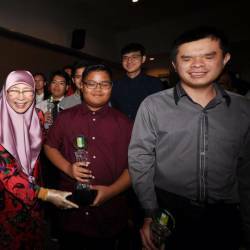 Asmirul was guest-of-honour at the event jointly organised by the office of the Consulate-General of Japan in Penang, the Kedah chapter of the Malaysian Historical Society and the Kedah State Museum. Mohamed Arshad expressed bemusement over how permission was granted for the monument in the first place. “It is insensitive and highly inappropriate as it will upset those who have or are still serving in the army,“ he said. MCA Public Services and Complaints Department chief Datuk Seri Michael Chong also condemned the monument, saying older generations who had lived through the Japanese Occupation would not be pleased with the move. “It is totally improper! The people won’t be happy, especially the older ones. The monument should not be there. It must be taken down,“ said Chong, who had in the past championed the cause of “comfort women” during the Japanese occupation in a bid to get compensation from Japan over their abuse. In the wake of the uproar, an information board in Malay, Chinese and English to commemorate three Japanese soldiers who died on Dec 13, 1941, including one platoon commander Lt Hajima Asahi, was taken down today. 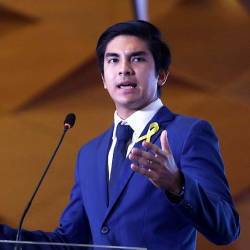 Asmirul, who said the signboard would be “rectified” soon, denied endorsing the monument to honour Japanese invaders by merely being there for its unveiling. But detractors say taking down the signboard is not enough and have called for the entire monument to be demolished. Attempts to obtain comments from the Kedah Museum were unsuccessful.